Do your arms and shoulders get tired swinging that heavy detector? This is the perfect solution for you! Two flexible crossed bands and shoulder pads make it comfortable without tiring neck or shoulders. 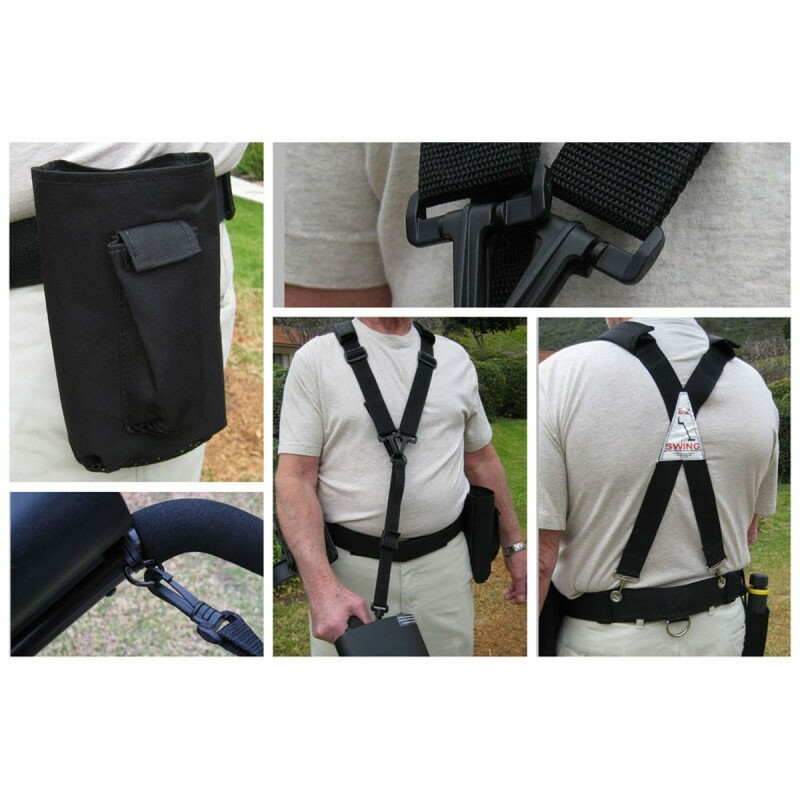 It is made to last (1 year warranty) and comes complete with collecting pouch and carrying bag. Best of all, It really works. You can completely relax your arm while making level swings all day long. 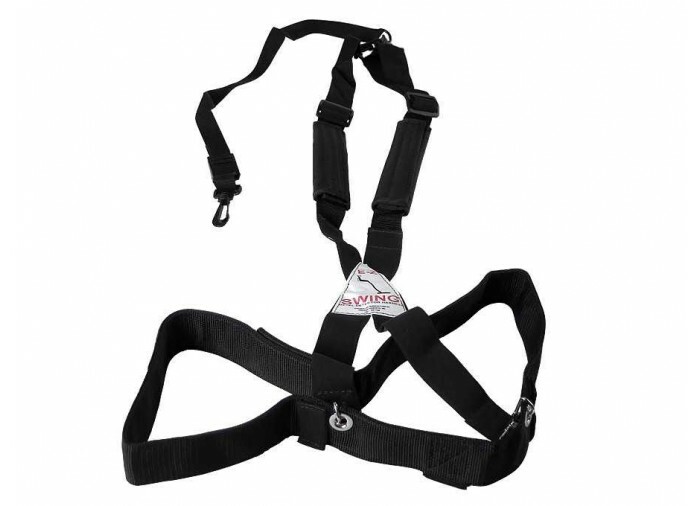 E-Z Swing is fully adjustable and built to last. It comes complete with a collecting pouch for your finds. 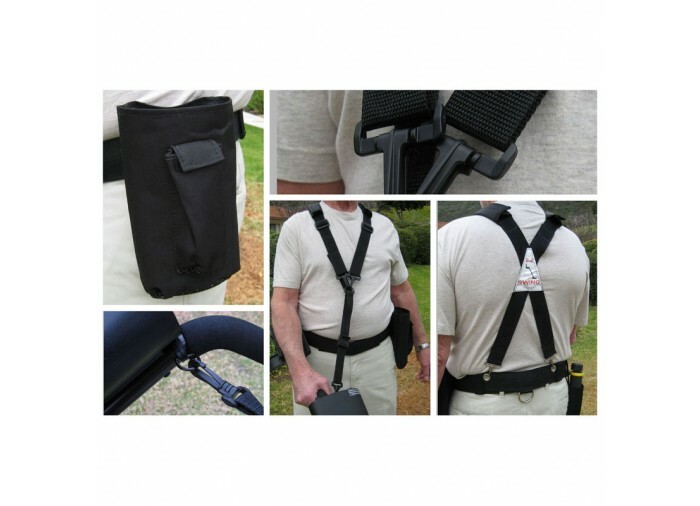 The belt and pouch can also be used without the harness shoulder straps. Note: Features and specifications are subject to change without prior notification. 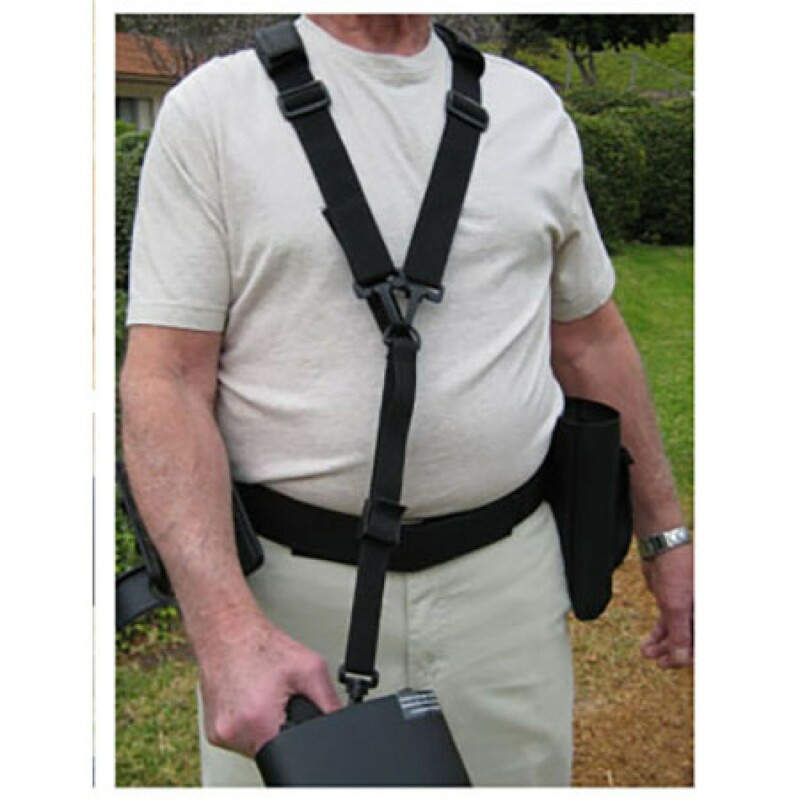 Web Belt: The 2-inch wide belt is made out of strong webbing material that is easily adjusted to any waist size using hook and loop material. 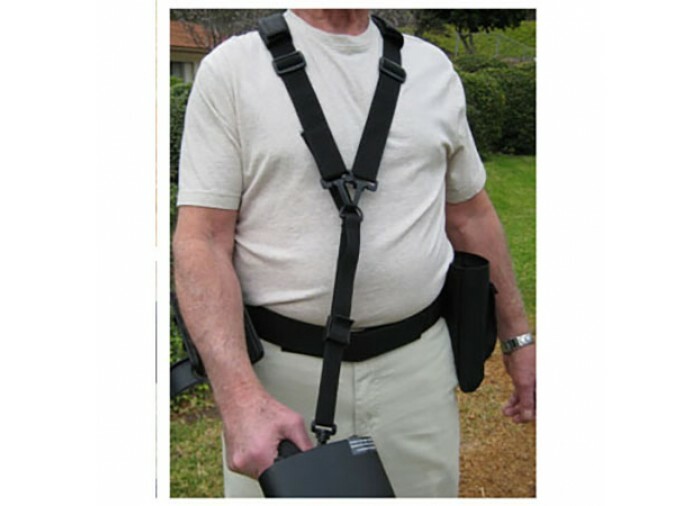 Shoulder Straps: Fully adjustable elastic shoulder straps cross the back and over the shoulders making swinging the detector easy and comfortable. 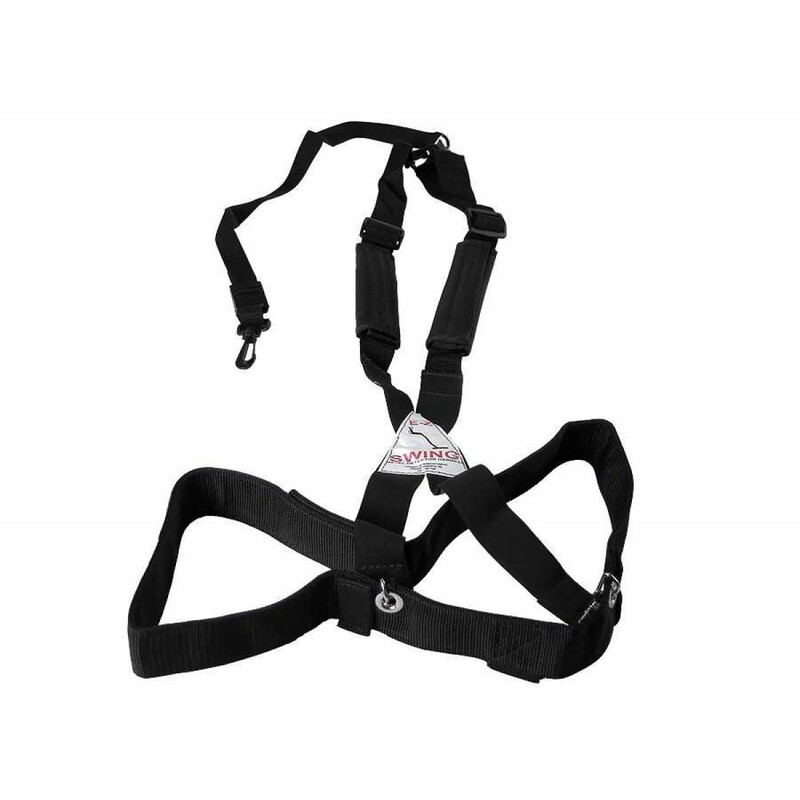 Shoulder Pads: Moveable shoulder pads make the harness universal for any body size and shape. Detector D-Rings: To create a connection point on your detector our simple D-ring easily attaches to your metal detector using the included zip ties. 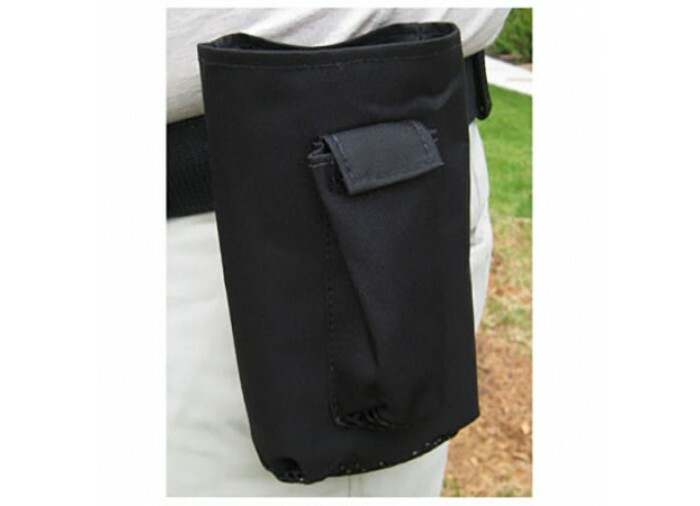 Steel Tool Loop: A round tool loop is attached to the back of the belt for clipping digging tools or to hang your other accessories. 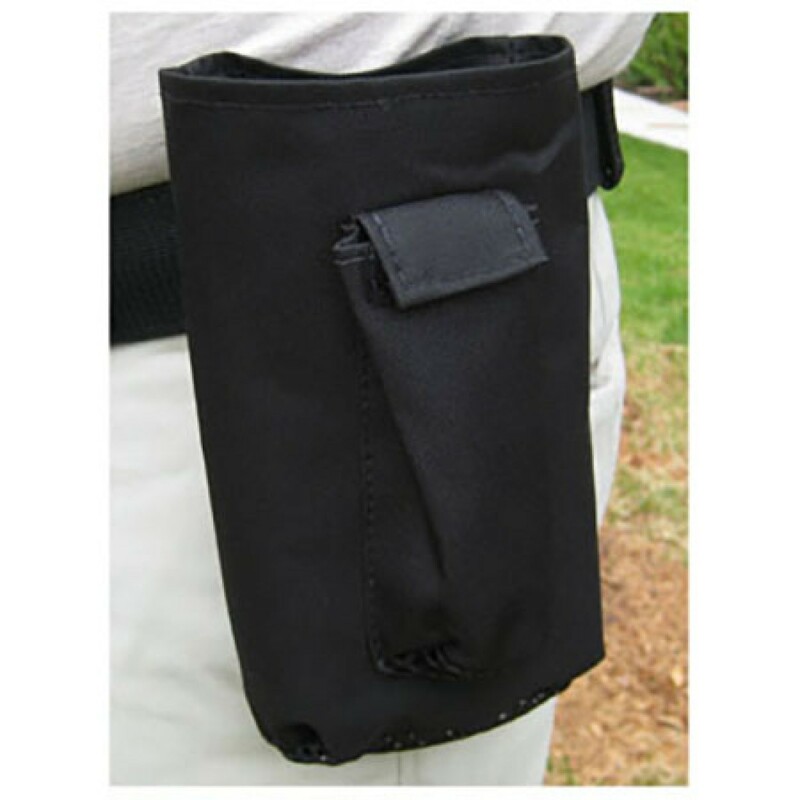 Collection Pouch: Included 9-inch-deep collection pouch attaches to the belt for quick storage of your finds. 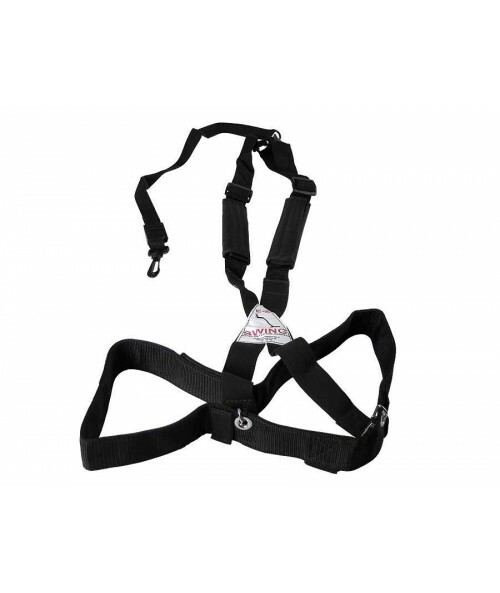 Storage Bag: The E-Z Swing Harness comes with its own storage bag to keep the harness protected when not in use.